When you hear a heartwarming story about how people are using Skype – like how rock star Steven Tyler connected with a 7-year-old cancer patient through a Skype video call – you can’t help but be inspired! While I may not do anything that momentous with Skype, I do find it incredibly useful on a day-to-day basis. Like email and phone calls, it’s just one more method that we use to communicate and has become part of our everyday life, making keeping in touch with loved ones that much easier. On a typical day, the girls will video chat with their favorite aunt (my sister) showing off their new clothes or a favorite toy. We’ll ooh and ah over her adorable new Yorkie puppies and just talk about anything and everything. I might instant message a friend, and since our conversation automatically syncs between devices, we can pick up wherever we left off no matter where I am. Then I’ll start a video chat with another friend, so we can talk about (and show each other) what we’re going to wear to such-and-such party. Making international calls is incredibly expensive, so I always take advantage of Skype’s low rates for when we call landlines and cell phones in Mexico and South America. If I wear a headset with a little microphone, they can’t even tell I made the call over the computer. It’s awesome. When I’m away from my kids (which happened a lot lately), I like to walk them around the hotel room and show them the view from my window so they can garner an understanding of where I am. I virtually “tuck them in”, saying good night and I love you through Skype. I may even read them a book or at the very least tell them a story about something I did that day. Teaching someone how to do something with Skype is such a practical use of the software. I remember showing my family how to make a quiche through a video call. The wonderful audience that was watching – my grandma, aunt, sister – were captivated by what I was doing. Just think… you can practice a speech, show someone how to play an instrument, teach dance steps, and so much more! It’s the next best thing to being there in person. My favorite thing to do now that I have a new iPad, however, is to pull Skype up on there instead of my laptop. I can switch effortlessly from the front camera to the back, so I can go from chatting face-to-face with the person on the other end, to showing him or her what I’m looking at. Yesterday, for instance, I walked around the house showing my sister our most recent home improvement projects, like our pretty walls below, then stepped outside so that she could see the girls playing in the pool. Other than almost getting splashed a few times, there were no disruptions in the video service at all! I’ve since downloaded Skype to my Android phone and my husband’s iPhone, so we can stay connected anytime, anywhere. YOUR TURN: How do you use technology in your daily life? 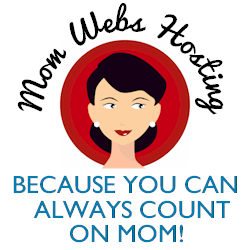 Disclosure: I participated in a campaign on behalf of Mom Central Consulting for Skype. I received Skype credits to facilitate my review and a promotional item to thank me for participating. I ALWAYS love to Skype with family! The only thing I need now is an ipad so I can use Skype anywhere!!! !